The clock continues to tick closer to the start of the 2018 NFL Season as OTA’s are set to get underway soon. While most NFL players, coaches and even executives are excited about the upcoming 2018 NFL Season and NFL Schedule. For the rest, the upcoming season could come with some key consequences including finding themselves out of a job during or after the final whistle of the regular season. When you start to look at the potential list from this group, the list is headlined by some talented players, coaches and executives. One player who could be impacted the most by the 2018 NFL season is wide receiver Randall Cobb. Cobb who is in his final year of a four year deal that pays him nearly $10 million, this year could find himself out of Green Bay and looking for a job. While Cobb is set to hit free agency after the season and his future contract will be directly impacted. Here are a few other NFL players who could be looking for new teams in 2019. 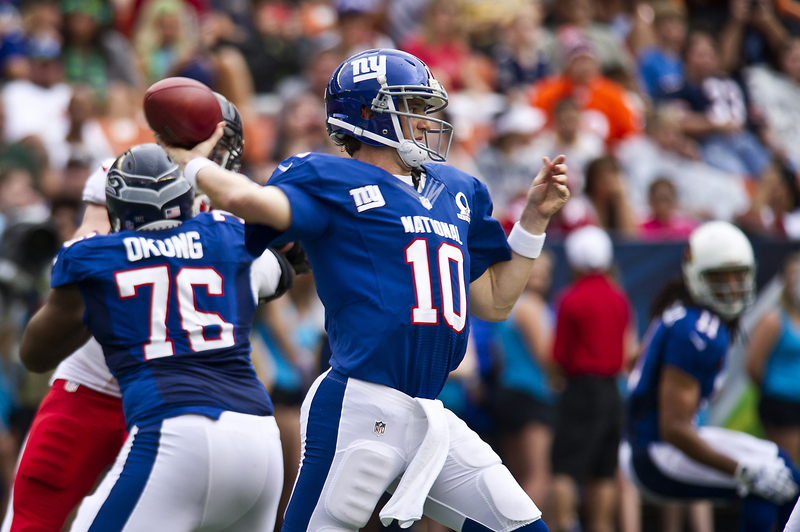 Eli Manning: The veteran quarterback isn’t getting any younger making him a solid cap casualty after the 2018 NFL Season with a down performance. Manning who is set to earn $22 million in 2018, could earn himself over $23 million in 2019 on his current contract. That said a bad performance could save the New York Giants a ton of cap space. Joe Flacco: Here is another quarterback that many have on their radar as a cap casualty after the 2018 NFL season after the team elected to draft Lamar Jackson at the end of the first round of the 2018 NFL Draft. Flacco who has battled both a knee injury and back injury over the past few seasons has yet to return to his playoff form that helped the Ravens win the Super Bowl. Ezekiel Ansah: The Detroit Lions pass rushing specialist is in his final year of his current contract that pays him north of $17 million per season. While it is hard to imagine Ansah not landing a huge deal, a down year similar to 2016 where he recorded just two sacks could cost him millions of dollars in free agency. Here are other players who could be hurt by a bad performance in 2018: Demaryius Thomas, Michael Brockers, Anthony Castonzo, Jimmy Smith, Dorey Liuget & LeSean McCoy. As players continue to fight for big money and the chance to play in the NFL, head coaches are doing the same as they fight to keep their position. Here are a few coaches who are in the hot seat and could be jobless after 2018. John Harbaugh: We were honestly surprised to see Harbaugh make it through another losing season in 2017. While a horrible defensive play was not his call forcing the team to miss the playoffs, he is the head coach and this team continues to make bad plays on all sides of the ball. If the Baltimore Ravens don’t come out winning, Harbaugh might not make it to the team’s bye week. Jay Gruden: Here is a coach who has shown at times he can be one of the premier coaches in the NFL while at other times, one that looks like he should have been fired. For Gruden his latest shuffles with Kirk Cousins and the team failing to sign him long term could backfire on him in 2018 and put him on the NFL head coach free agency market in 2019.